I think J's eyes show the fear whilst holding a scorpion and a snake. S was very curious and wouldn't take her eyes off the creatures. The big yellow snake mesmerised her and just looking at the spiders managed to stop the "I want to hold a spider, mummy!". After we were able to get up close, the show was about to start. Nick, the guy talking, really captivated the audience. Although I think some of the facts went over the girls head. Lots of volunteers were picked from the audience, including me, eek! 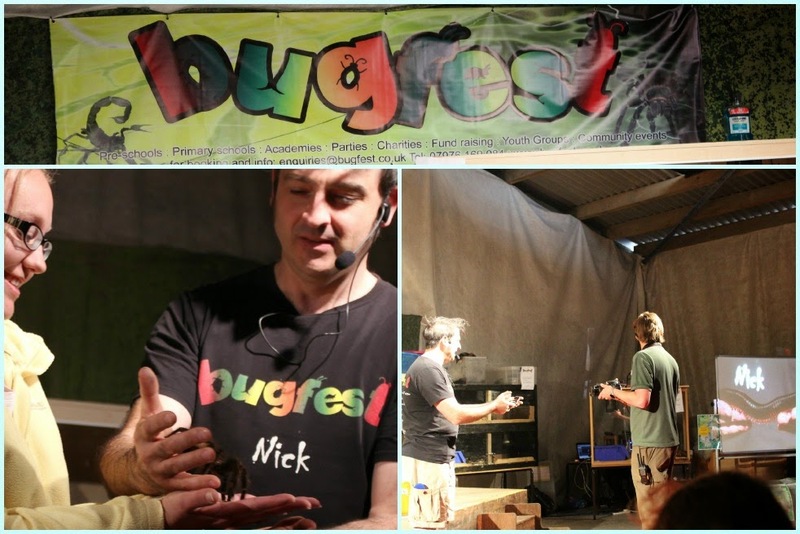 I was able to hold the tarantulas. They started small, then the 9inch leg span spider came out...ARGH! Thankfully I don't think she liked me; she shot of my hands pretty quick. Phew! For the show, they used a camera to zoom in live on a bigger screen for everyone to see, which was great as it was busy. The show lasted around an hour, but unfortunately the girls lost interest after about 45minutes. The pig racing is new to the farm for us too. We have never seen it in all the times we have visited, so we made sure we got a spot to watch. I've never seen pigs racing before, Sheep yes, but not pigs, so this would be interesting. They got off to a great start, but soon the pigs lost interest and needed some extra encouragement with food and a good push. The girls were happy the pink team won... The atmosphere was amazing around the fence, with everyone cheering a different pigs name. It only lasted a few minutes but was good fun to watch. Another new feature just been launched is the new JCB area. 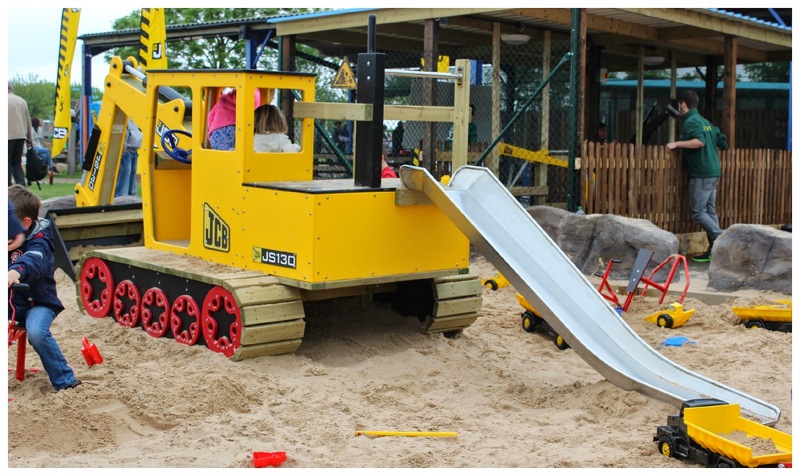 This consists of a large sandpit with a wooden JCB slide and smaller metal diggers around it. The girls didn't get a chance to try the diggers out as it was so busy, but did have a good dig anyway. 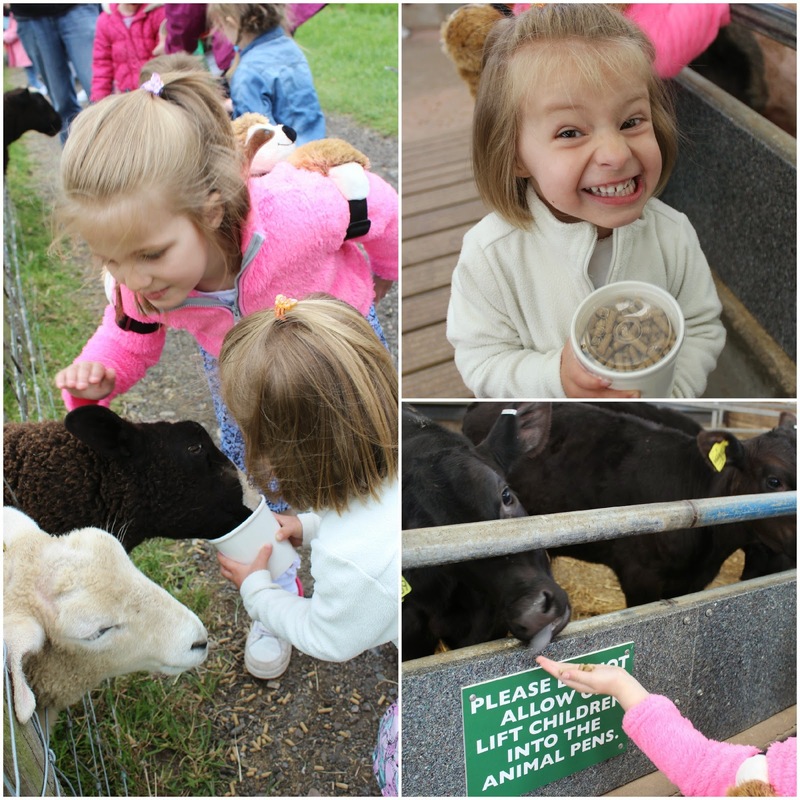 You just cannot visit a farm, and not feed the animals. The farm is rapidly growing with every visit we make and more hand washing areas popping up, making it very convenient to wash hands after visiting each section. 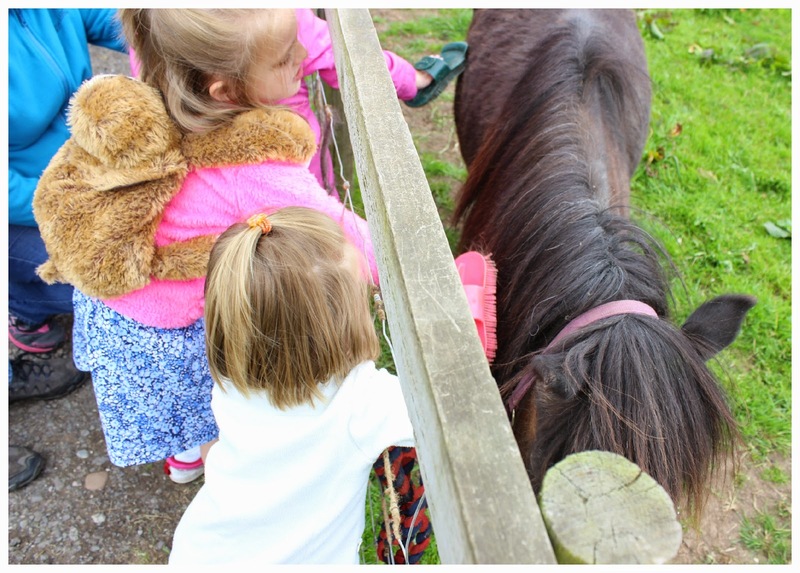 The girls also managed to groom the ponies this time too, which resulted in a very happy J. It was another great day out at The National Adventure Farm. For more information, click here. Tickets are £10.75 per person over 2, and its open from 10am until 6pm every day. Animal feed is an extra £1 per tub. That looks like you all had such a fab day out! Haha this is great! How terrifying though, I would not be able to do that!